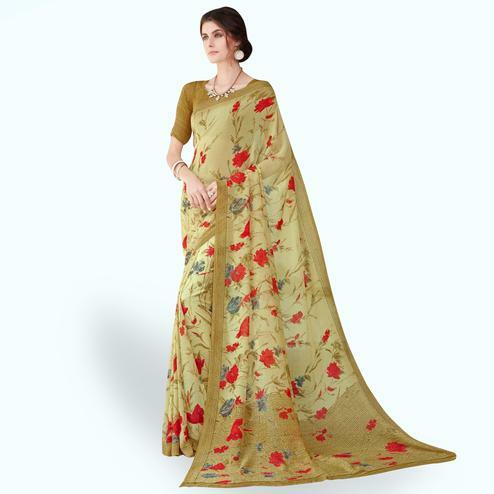 Be the sunshine of everyone’s eyes dressed in this lovely woven saree having golden border and contrast striped pallu. 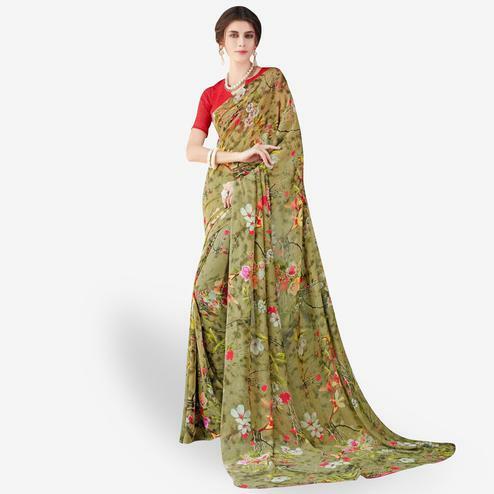 This saree is made out of sambalpuri fabric and comes with contrast fabric unstitched blouse piece. 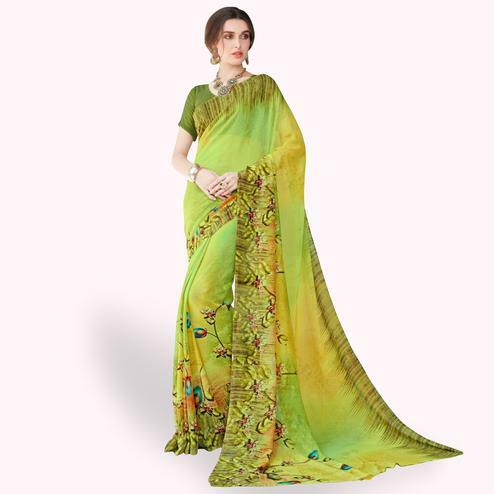 It is comfortable to wear and care. 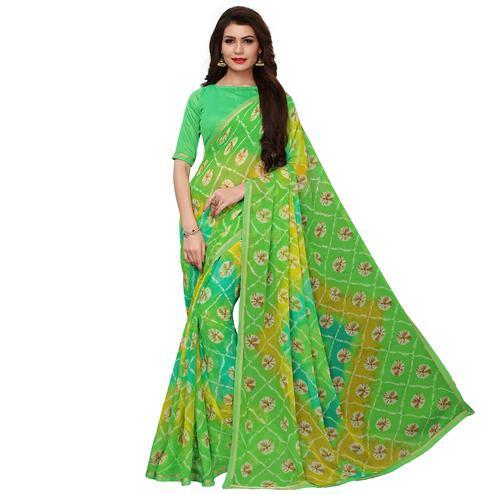 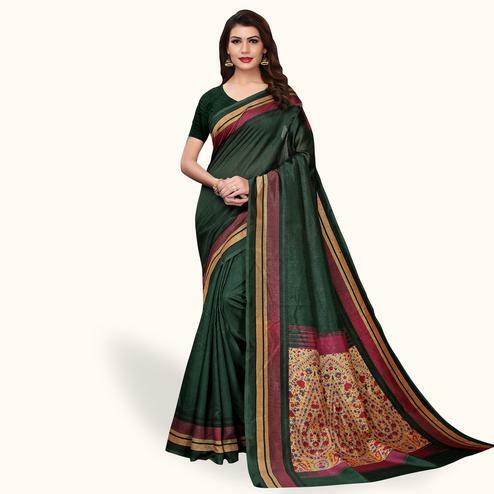 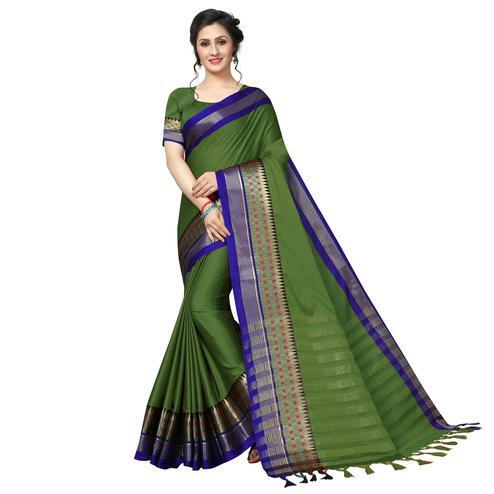 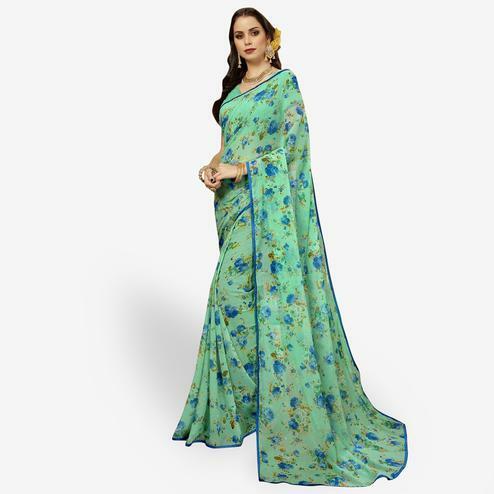 You can wear this saree for small casual functions and festivals.